Happy New Year to all readers and best wishes to all. This year, I started my new year ritual with great food and dessert place not too far from my residence. It is so called Soufflé and me. 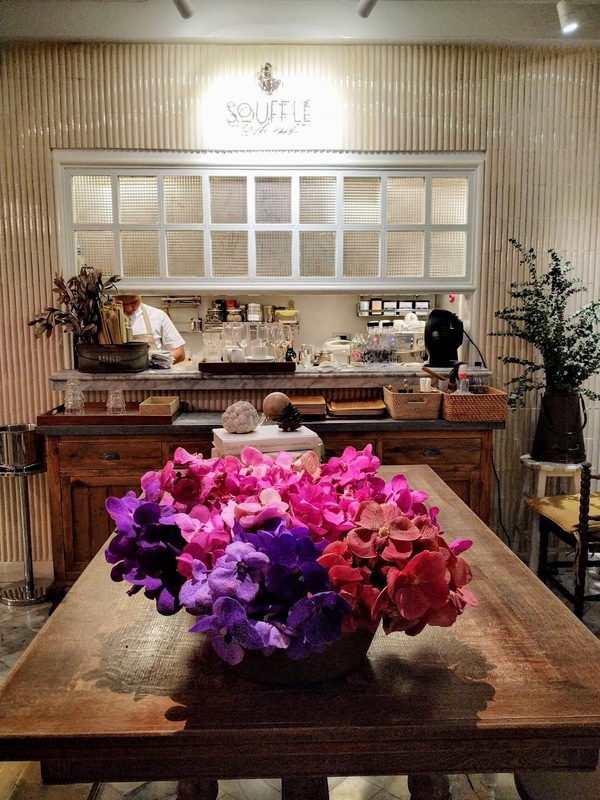 The restaurant is usually very busy throughout the day, and hidden in one of the street not too far from Sathorn/Naradhiwas intersection (well not that close either). 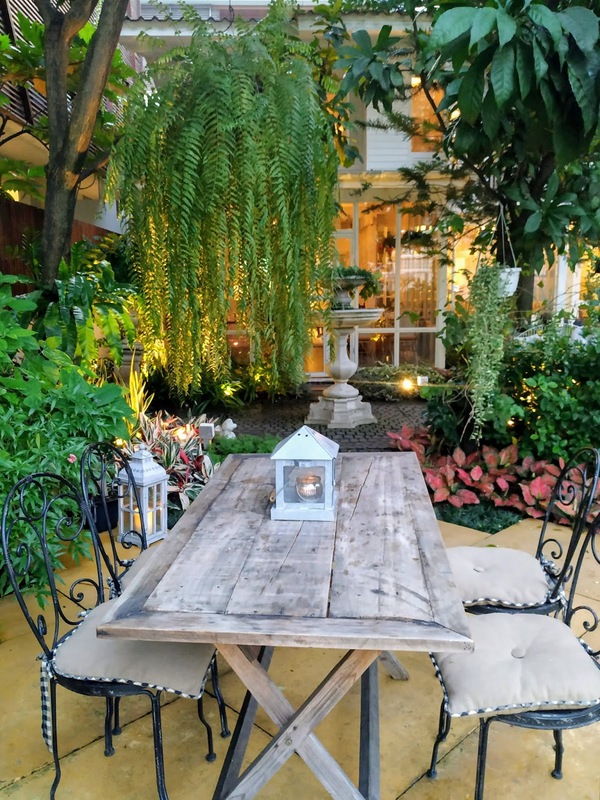 It is situated in an old house decorated like most bistro in Mediterranean countries, surrounded by beautiful flowers, with lovely garden. All Chefs, waters/waitress dressed in French style clothing, the showcase is done with open kitchen in middle part of the restaurant. Food and Desserts were all great, but would take at least 25mins to bake/cook per piece (in case of Soufflé dishes). No cockage charge, and very reasonable price. I would recommend everyone to try. 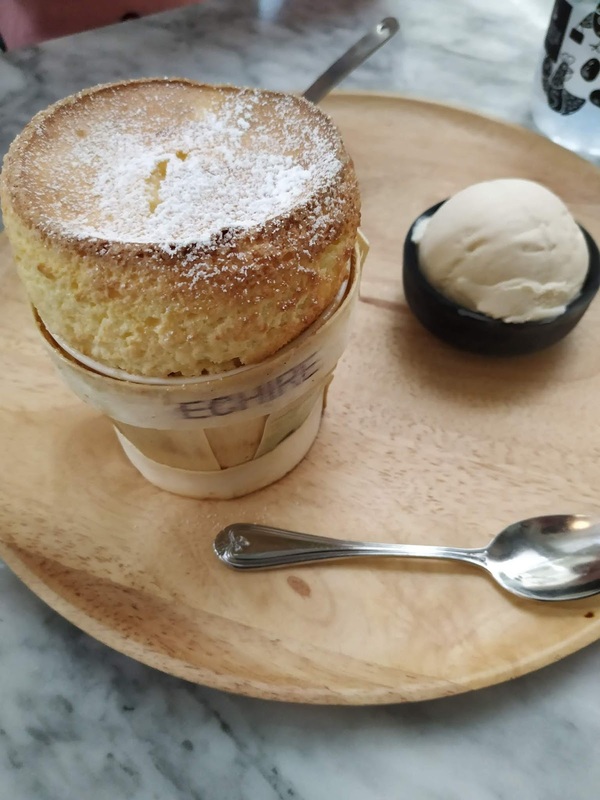 One of my favourite dish is Osaka style Souffle, very creamy served with homemade ice cream. You will definitely enjoy it.